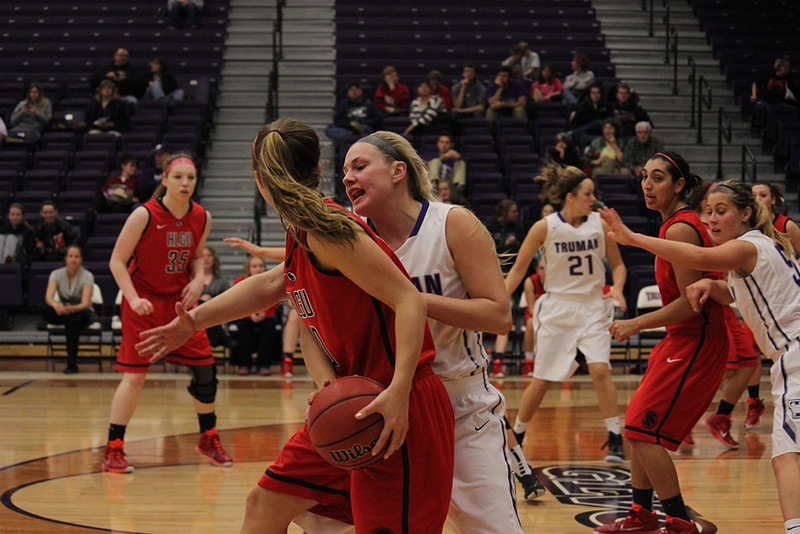 Truman State University’s women’s basketball season came to a close Thursday after losing 71-61 to No. 3 Lewis University in the GLVC Championships. The Bulldogs spent much of the regular season floating around seventh place in the GLVC, including a seven-game losing streak, the highest for Truman under head coach Amy Eagan. Despite their struggles, the ’Dogs made it into the GLVC tournament in sixth place with the momentum of a five-game winning streak. Though the Bulldogs lost the game, they kept the Flyers on their toes throughout, holding them to no more than a three-point lead in the first half. Despite these efforts, the Flyers broke through in the fourth quarter to secure their 10-point victory. The women’s basketball team ended their season with a 15-11 record.